This weekend I did a few holiday things I want to share with you, and I have listed some holiday events I encourage you to explore. Many I have done, and will link you to my past adventures to further whet your appetite – the real purpose for this post to get you out to experience these wonderful events. 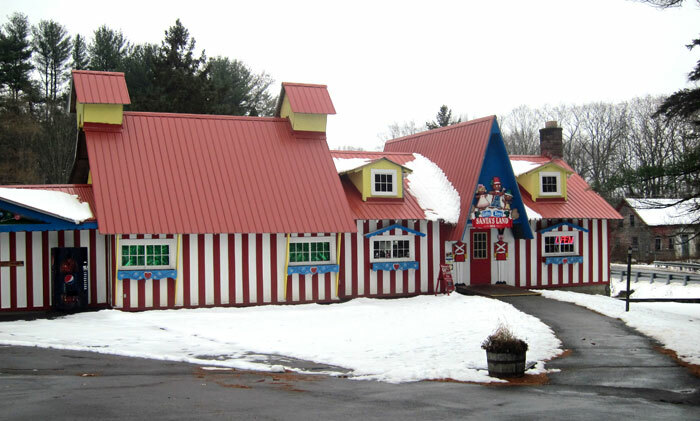 Recently I saw something new to me – ‘TWAS THE NIGHT BEFORE CHRISTMAS in nearby Springfield, Vermont, presented at the Hartness House Inn. All proceeds of the day were to benefit the Springfield Area Parent Child Center. 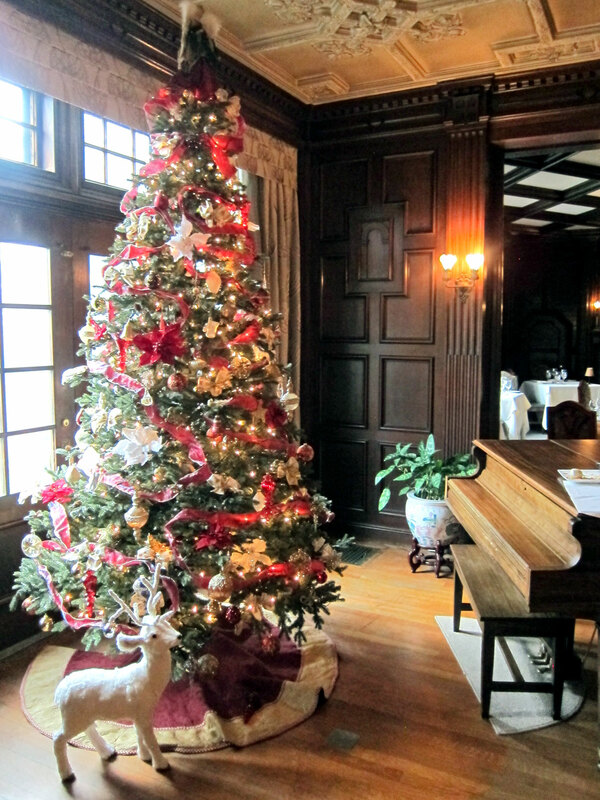 The announcement read: “journey through the historic Hartness House Inn and experience the legendary tale of ‘Twas the Night Before Christmas in an interactive performance provided by local talent! Moving room to room you will witness the skill of real dancing elves, glorious singers, hilarious puppeteers, and many exciting surprises along the way.” The event was Saturday the 24th, I bought my ticket on-line, and then booked my dinner reservation afterwards. I learned that this was the second year for this fundraiser. 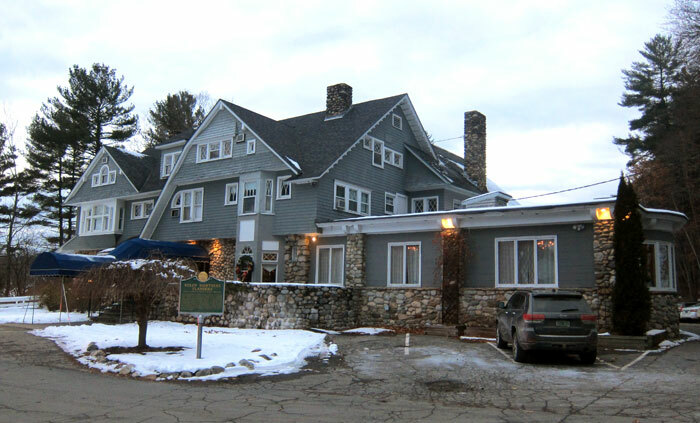 The Inn had been closed for a month during “twig season,” and reopened with this event. The Inn is a wonderful old mansion, but several dormitory style additions have been added to the rear. Cathy and I attended a New Year’s Eve in the former dining area on the right, now there is simply a tavern for eating on the left. I arrived early, and enjoyed some holiday music in the lobby, and then was greeted by my Elf (does she look familiar?) 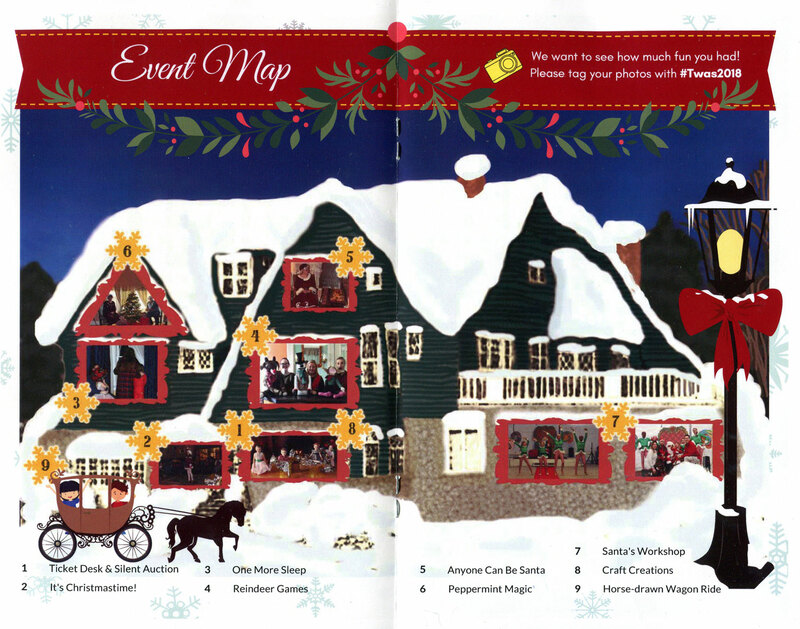 to experience ‘Twas The Night Before Christmas throughout the Inn. Following Ms. Elf from room to room, she recited Clement Moore’s poem to the group at the various tableaus. We followed a route (you can click on the image for an enlarged view) and at each stop were entertained by youngsters, puppets, young dancers while our Elf related the next part of the story. Here is a slide show of some of the tableaus. Click on any image to scroll the larger size images. The first, “It’s Christmas Time” was amazing with many young ballerinas – two popped out of the poinsettia pots and started dancing. The performances were impressive, particularly considering all the youth that were involved and choreographed. It was a fun setting, and a nice opportunity to see three floors and inside several rooms at the Hartness House Inn. On Sunday, the 25th, I had to visit Santa’s Land in Putney. It was exactly a year ago, November 25, 2017, that it reopened, and I was there and shared that day with you. It was fun to get back and visit. 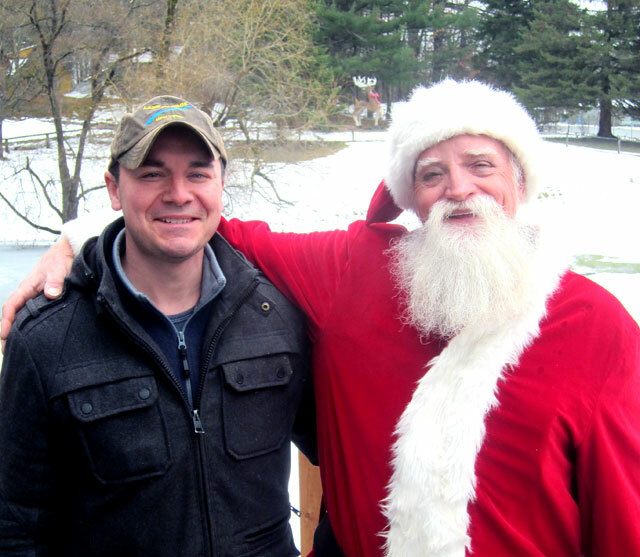 The new owner, David, and Santa greeted me upon arrival. It was so enjoyable strolling the grounds, visiting with the trainman who remembered me, and the carousel operator – everyone is there to bring pleasure to all. Everything is fresh and bright. 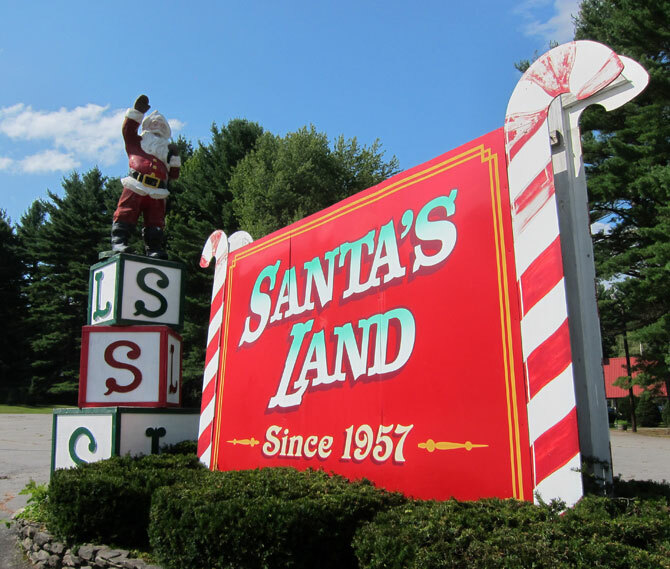 David has added a 9 hole miniature golf course for summer visitors, and Santa strolls the grounds meeting and interacting with everyone. A great idea instead of staying in his home. Open weekends, please visit before the last day this year, 23 December 2018. Here is a gallery of images I took today, just click on any to open for larger size pictures. In past years, and particularly last year, 2017, I have enjoyed a number of holiday events and shared them with you. I want to provide you a list of some things I have done, and have wanted to do, so you can grab your coat and keys, and go explore with a holiday theme. For some reason many of the events have migrated to the first weekend in December this year, so it will be hard to pick what to focus on. But here are my recommendations, and links to my previous experiences. Yes, Stockbridge and The Red Lion Inn. I have always had conflicts (previously it was later in the month) for this event which on Sunday recreates the famous Norman Rockwell painting that is now in the Norman Rockwell Museum. There are about six places I want to be on the weekend of December 1 & 2, including Newport, Rhode Island with a dinner train with A CHRISTMAS CAROL performance. But I decided not to head too far that weekend (you will read why at the end), and I really don’t “do crowds.” But, someday I will attend Christmas in Stockbridge, and click on this link if you wish to learn more. 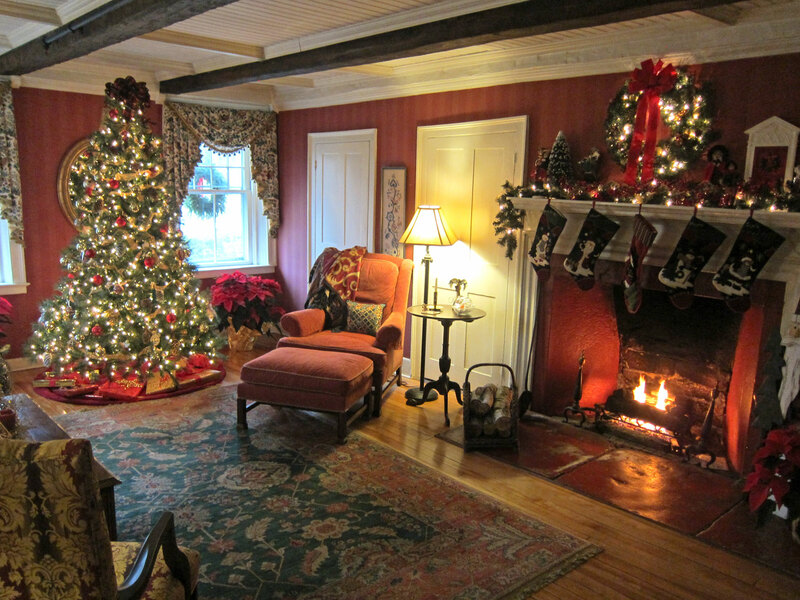 In 2016, friends and I spent a very enjoyable day touring eight Vermont inns and B&Bs that were decked out for the holidays, and each serving their own special treats. It has become an annual event, and I highly recommend you give it a try – click on this link for this year’s information. Your ticket is good for two days, and it will take you two days to enjoy all there is to see and eat. My first Christmas visit was in 2013, and it was two weeks later that year. It was wonderful, and I have returned just about each year since. 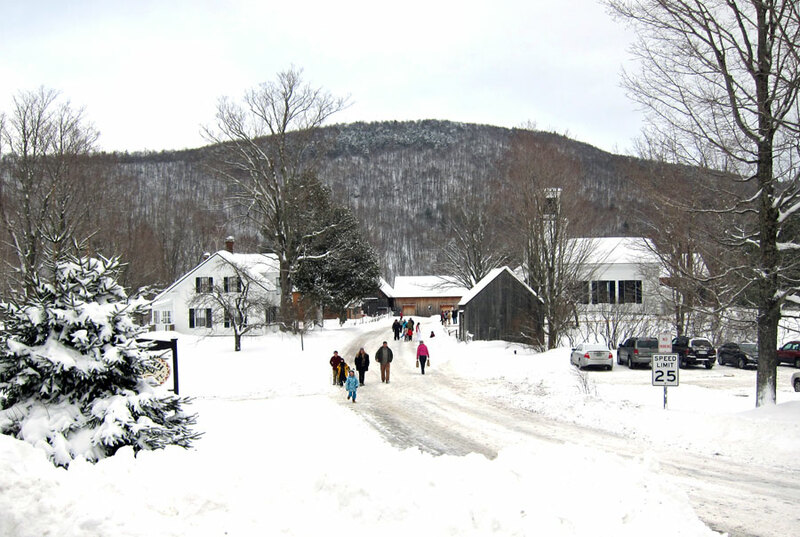 My picture below was used by the Vermont Tourism Bureau to promote the event last year. Click here for this year’s details, and the links below share my Holiday experiences there in the past. I have always loved my visits to this bucolic, and isolated hill town – a step back in time to the 19th century, even though it has captured it’s 1920s ambience (which is 19th century anywhere else). Following are my Holiday visit posts. For some reason I never completed one for 2017. Less than an hour from home, I have since 1963 enjoyed driving down Old Deerfield’s historic Main Street. I have attended many events, and classes there this past year, and probably will venture here on 1 December to take in their holiday activities that day. Click on this event link to get an idea of what is going on that day. Maybe I will see you there? And, here are two other Christmas experiences from 6 and 9 December 2017. 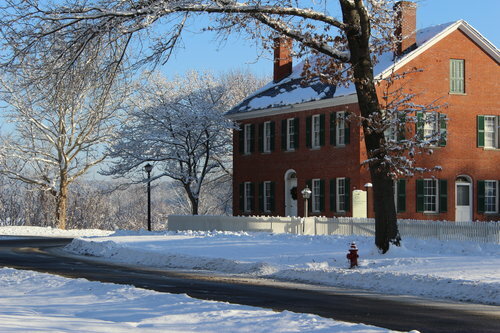 Read through the post linked below about Storrowton Village in Springfield, Massachusetts, and the Manchester Vermont Holiday Inn Tour. Hopefully you will then search for this year’s information and possibly attend. Lots to see in the post below, please do take a look. 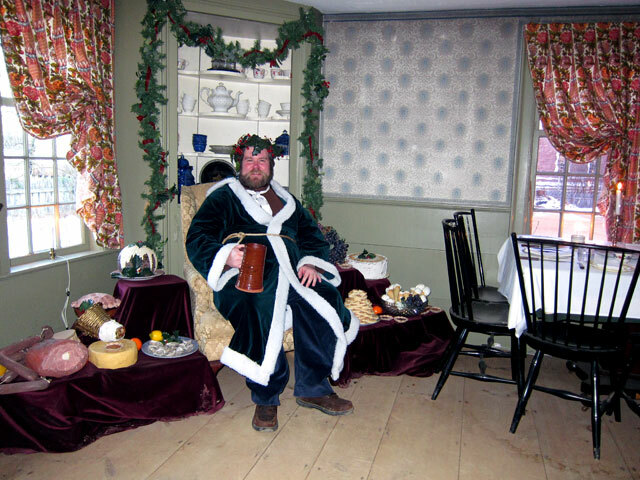 I have spent many enjoyable days at Old Sturbridge Village this past year, and attended the holiday event, enjoying 1830s decorations, traditions, and food, on 21 December last year. Click on this link to see what I shared about my visit. This year running from 30 November through 23 December – click on this link, to read what is happening – and then plan your trip there – but two comfortable hours from home. Not things I have done as yet. I just have not had time, and it seems everything is now happening at once. 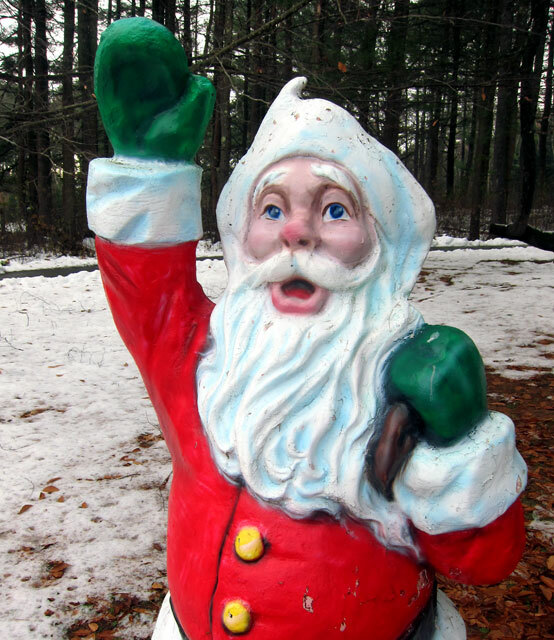 But, for your consideration (and it is at least fun to look at websites to see what is going on, and get into the mood) here are a few more local Christmas events. Well, there is a great deal going on in the area, and I hope in presenting it all to you that you may find something to enjoy with your family. I will vicariously travel to the various events on-line because I will have some “down time” soon. Wanted to have both hips replaced at once, but doctor said one at a time, and that time is very soon. I am currently lining up what I will accomplish during that “down time.” I owe you some adventures from this year still, and will work on “July Rocks” and “All About Pitts.” You will hear from me. This entry was posted in Miscellaneous Musings and tagged 2018, CHRISTMAS BY CANDLELIGHT OLD STURBRIDGE VILLAGE, COOLIDGE HOLIDAY OPEN HOUSE PLYMOUTH NOTCH, Hartness House Inn, MAIN STREET AT CHRISTMAS STOCKBRIDGE, Massachusetts, OKEMO VALLEY INNDULGENCE TOUR, Putney, Santa's Land, Springfield, TWAS THE NIGHT BEFORE CHRISTMAS, Vermont, VT. Bookmark the permalink.